Are your inner beliefs in accord with your outward behaviors? For most of us, there’s a disconnection or, at the very least, a dissonance between the two. Whether it’s our efforts to fit in or our fears of being rejected, we train ourselves from early on to disregard our private thoughts in favor of projecting an outwardly acceptable persona. In the process, we negate the way we truly feel and avoid acknowledging our inherently felt beliefs. It takes awareness, emotional intelligence and even courage to bring our inner beliefs to the forefront and make them part of our outward life and behavior. 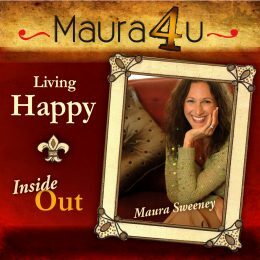 In the following podcast, I take up the various definitions of the word belief and explore how our inner self recognizes and resonates with our true belief systems. I also discuss some of the ways we ignore, suppress or resist expressing those beliefs. As always, you’ll hear some of my personal anecdotes about navigating along the path to personal harmony. Specifically, I share the feelings of distress that have arisen for me as I became more aware of the dissonance between my own beliefs and behaviors. The process of emerging from our inner thoughts and ideas to the outer manifestation of those ideals can be a long and challenging one. However, the result is a harmony that allows us to shine brighter to the world. As Mahatma Gandhi quotes above, may the process of harmonizing your beliefs and behaviors ultimately bring you to your value-driven destiny! My personal hope is that you’ll be inspired and empowered to express your truest and happiest self by integrating the dissonant pieces of your life. Listen here or use the player icon below. Joan, thanks for the comments. It’s true. We all have our own journey to live out of who we truly are — and sometimes, it’s easier said than done! Glad to hear that you continue to find your own happiness, too, as you travel along the road of self-discovery! Sending some Florida sunshine to your native Ireland.